Fluorine rubber having high chemical stability, is the best present of all elastomers Properties of a medium resistance. 26 fluorine rubber resistant to petroleum-based oils, double ester oil, silicone oil ether, silicic acid, oil resistance and an inorganic acid, most resistance to organic and inorganic solvents, pharmaceuticals, impatient only low molecular weight ketones, ethers, esters, amines intolerance, ammonia, hydrofluoric acid, chlorosulfonic acid, phosphoric acid-based hydraulic fluid. 23-type fluorine rubber media properties and 26 similar type, and more unique, which is resistant to strong oxidizing inorganic acids such as fuming nitric acid, concentrated sulfuric acid better performance than the Type 26, 27 immersed at room temperature in 98% HNO3 its volume expansion days only 13% to 15%. High temperature performance fluorine rubber and silicone rubber as the elastomer can be said is the best. 26-41 Viton long-term use at 250 ℃, 300 ℃ under short-term use; 246 fluorine plastic heat better than 26-41. 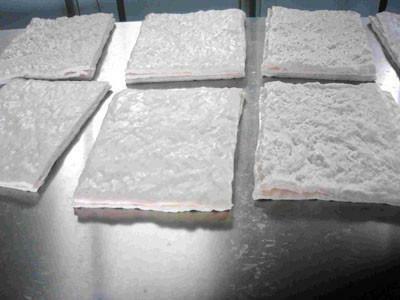 After 300 ℃ × 100 Xiaoshi air after thermal aging properties of 26-41 and 300 ℃ × 100-hour hotline 246-type air aging properties equivalent to its elongation can be maintained at around 100%, the hardness of 90 to 95 degrees . After the 246-type after hot air aging at 350 ℃ 16 hours to maintain a good elasticity, hot air aging at 400 ℃ for 110 minutes after good elasticity, hot air aging at 400 ℃ for 110 minutes, spray containing carbon black, thermal carbon blacks or carbon fibers the rubber elongation increased by about 1/2 ~ 1/3, the intensity decreased about 1/2, still maintain good flexibility. 23-11 fluorine rubber can be long-term use at 200 ℃, short-term use at 250 ℃. FKM has excellent resistance to weather aging resistance, ozone resistance. According to reports, DuPont developed VitonA decade after natural storage performance remains satisfactory, 0.01% in the air after 45 days no significant role in cracking the ozone concentration. 23 fluorine rubber weather aging, ozone resistance is also excellent. 26 fluorine rubber has excellent vacuum performance. Fluorine rubber vulcanized 246 basic recipes vacuum outgassing rate was 37 × 10-6 Torr l / s. Cm 2.246 fluorine rubber has been successfully applied in 10-9 Torr vacuum. FKM has excellent physical and mechanical properties. 26 fluorine rubber general combining strong between 10 ~ 20MPa, elongation at break of between 150 to 350%, tear strength between 3 ~ 4KN / m. 23 fluorine rubber strength between 15.0 ~ 25MPa, elongation of 200% to 600%, tear strength between 2 ~ 7MPa. In general, the fluorine rubber compression at a high temperature of large permanent deformation, but if the conditions are the same, such as compression from the same time under 150 ℃ permanent deformation, the small and chloroprene rubber fluorine rubber than 26 larger, 26 fluorine rubber compression 200 ℃ × 24 hours deformation equivalent butadiene rubber in 150 ℃ × 24 hours compression. Preferably 23 fluorine rubber electrical properties, low moisture absorption than other elastomers can be used as good electrical insulating material. 26 rubber can be used in low-frequency low pressure. Fluorine rubber on the solubility of gases is relatively large, but the diffusion rate is relatively small, so the overall performance out of permeability is also small. According to reports, 26-type fluorine rubber at 30 ℃ for oxygen, nitrogen, helium, carbon dioxide gas permeability and butyl rubber, butyl rubber rather than neoprene, natural rubber is better. Good low temperature properties of fluorine rubber, which is due to its chemical structure due to, e.g. 23-11 type Tg> 0 ℃. Fluorine rubber low temperature performance is usually cold brittleness temperature and compression factor actually used to represent. Recipes and shapes (such as thickness) rubber products brittle temperature was relatively large, such as the increase in the amount of filler formulation brittleness temperature sensitive deteriorate, increasing the thickness of the article, the degree of brittleness confused deteriorated too sensitive. Radiation resistance Viton elastomer is a relatively poor one, after 26 radiation performance of rubber crosslinking effect, 23 fluorine rubber cracking effect is manifested. 246 fluorine rubber room temperature radiation dramatic changes in performance under 5 × 107 Lun doses at 1 × 107 Lun conditions hardness increase of 1 to 3 degrees in the air, the intensity decreased by 20%, the elongation decreased by 30% to 50% , it is generally considered fluorine rubber can withstand 246 1 × 107 Lun, limit of 5 × 107 Lun. Because Viton high temperature, oil resistance, high vacuum and acid resistance characteristics of a variety of chemicals have been used in modern aviation, missiles, rockets, astronauts, ships, atomic energy and other cutting-edge technology and automotive, shipbuilding, chemical , petroleum, telecommunications, equipment, machinery and other industrial fields. Viton seals, sealing the engine for long-term work at 200 ℃ ~ 250 ℃, 300 ℃ under short-term work in their working life with the same engine repair life, up to 1,000 to 5,000 flight hours (time 5 ~ 10 years); when used in the chemical industry, 67% sulfuric acid (such as 140 ℃ under a sealable inorganic acid, concentrated hydrochloric acid 70 ℃ and 30% nitric acid), organic solvents (such as chlorinated hydrocarbons, benzene, high aromatic gasoline ) and other organic matter (such as butadiene, styrene, propylene, phenol, 275 ℃ under the fatty acids, etc. ); when used in deep oil, can withstand 149 ℃ and harsh working conditions 420 atmospheres; for superheated steam seals when, in steam medium and long-term work of 160 ~ 170 ℃. In the production of monocrystalline silicon, commonly used fluorine rubber seals with special sealing medium temperature (300 ℃) under - trichlorosilane, silicon tetrachloride, gallium arsenide, phosphorus trichloride, trichlorethylene and 120 ℃ hydrochloric acid and the like. In high vacuum applications, when the altitude of 200 ~ 300Km, the pressure of 133 × 10-6 Pa (10-6mmHg), chloroprene rubber, butadiene rubber, butyl rubber can be applied; when flying at an altitude of more than 643Km when, the pressure dropped to 133 × 10-7Pa (10-7mmHg) or less, in which a high vacuum can be applied only fluorine rubber. Usually before a high or ultra high vacuum apparatus system, subject to high-temperature baking, 26 type, 246-type fluorine rubber can withstand 200 ℃ ~ 250 ℃ high temperature aging, and therefore a high vacuum equipment and spacecraft in the main rubber material. Fluorine rubber hose suitable for high temperature, oil resistant and special media applications, such as use as aircraft fuel, hydraulic oil, synthetic double ester oil, high-temperature hot air, hot mineral and other special media (such as hydrocarbons and chlorinated other chlorides) transport, guide and so on. Wire and cable flex fluorine rubber is good, and good insulation properties. Fluorine rubber tape made of glass fiber, resistant to high temperature and chemical resistant 300 ℃ for. After Kevlar fabric coated with fluorine rubber, petrochemical plants can produce high temperature, acid class tank connection between telescopic tube (both ends with metal flange connection), can withstand high pressure, high temperature and corrosion, and deformation of two cans connected telescopic shock absorber dampening effect. After the tape nylon coating made of fluorine rubber seal bags, as an internal floating roof tanks refinery with a soft seal, play sealed to reduce evaporation losses of liquid oil and so on. 23 type, four hepatitis fluorine rubber mainly used as acid-resistant specialty chemicals corrosive sealing applications. Hydroxy nitroso fluorine rubber products mainly used as protective and sealing products, as a solution in the form of non-flammable coatings for electronic components and parts fire pure oxygen work. Its solution is available and liquid rubber coating, casting and other methods of manufacturing many products, such as space suits, gloves, duct tape, ball. Also it is used as glass, metal, "Seto of body, fabric adhesive, manufacturing sponge and contacts rocket propellant (N2O4) gaskets," O "rings, capsules, Yoon domain of various types of valve seals. G Series Viton seals have made use VitonA, B, E and other high temperature Viton can not reach the steam resistance, gasoline or methanol-containing aromatic high performance gasoline; GLT fluorine rubber, chlorinated rubber phosphorus, total desflurane rubber more wide temperature range, low temperature flexibility, elastic sealing and the like. Kalrez also has outstanding resistance to corrosive media, widely used in cutting-edge military technology. Fluorine rubber sealant - putty, fuel resistance outstanding performance, can be used in the oil about 200 ℃, the aircraft integral fuel tank is used as a sealing material. Fluoro rubber obtained closed-cell foam, with acid, oil, wide temperature range and good insulation, it can be used as rocket fuel, solvents, hydraulic oil, lubricating oil and grease seal and rockets, missiles damping material, the temperature reached 204 ℃, fluorine rubber latex impregnated asbestos fiber cloth, asbestos sheet can be made for high temperature resistance, chemical resistance and combustion occasions. With the rapid development of automobile industry, automobile engine room temperature increased, the modified fuel and corrosive engine fuel use is increasingly common, fluorine rubber sealing material is more widely used in cars than ever before. In order to improve vehicle engine power, fuel economy, ensure the safety of cars, new fuel injection system appears. In this system, the engine flows into the car from the tank, and then returned to the tank is circulated, gasoline mixed with oxygen will produce hydrogen peroxide. Gasoline containing lead hydroperoxide called "acid gas", which enables a variety of hydrocarbon rubber softening or hardening. The fluorine rubber will not be contacting the acidic gas generated deteriorated deterioration. Countries in the world to develop new environmental regulations each year. Total hydrocarbon discharge amount of cars being increasingly stringent restrictions, the automotive industry more and more difficult to meet this requirement. In the United States, the car must be approved by SHED (Sealed Box evaporation measured) test pass. Fluorine rubber to hydrocarbon permeation have a very good barrier properties (Table 1), the fuel hose structure covered with a fluorine rubber layer, it can reduce the amount of hydrocarbon permeation. Automotive fuel system products, must function properly in a temperature range of -40 ℃ ~ 150 ℃. But with the fluorine content of fluorine rubber increase deterioration of low temperature resistance (glass transition temperature increases), in order to manufacture at -40 ℃ normal performance of products, the need for cold tolerance difference fluorine rubber to improve the product. Today, Kalrez has listed the development, effectively improve the low temperature properties of fluorine rubber, but the price is also difficult to mass promotion. Automotive industry pays close attention to the methanol-based fuels, they are eager to carry out any possible adaptation of fuel FFV (Flexible Fuel Vehicle) research, rubber parts FFV technology is particularly urgent. Methanol mixed with gasoline, fluorine rubber volume swell of about 10%. But methanol alone, since the content of fluoride, fluorine rubber volume swell the difference is very substantial. Almost no swelling at high fluoride content, but with lower fluorine content, swell at a low temperature region becomes large, especially the swelling volume will significantly increase in the fluorine content of 66% of the cases. This is considered due to the methanol produced hydrogen at a low temperature binding with a fluorine content of 66% due to the SP value of the polymer close. In a sense, Viton also with the progress and development of the times and the growth of the product. Despite the high price of these materials, but its excellent abrasion resistance, oil resistance and reliability, with high practical value, therefore, the amount gradually rise is not surprising. Development there is great potential and possibilities fluoride, and look forward in the future be able to develop higher value fluoropolymer. Three or more fluorine rubber monomer polymerization, the positions of all the hydrogen atoms is substituted with a fluorine atom on the monomers. It has excellent resistance to high temperature hardening properties, and both rubber elasticity and corrosion resistance of PTFE. In -20F-615F range, the perfluorinated ether o-rings (seals), pull length and tightness are good. Whether encountered temperature, pressure, chemical corrosion or all of the above relevant circumstances, the product can provide appropriate solutions to solve problems. Perfluorinated ether o-ring (seal) corrosion resistant to the vast majority of chemicals, including organic and inorganic acids, alkalis, ketones, alcohols, aldehydes and fuel. Thus, perfluorinated o-ring (seal) long-term service in most of the chemical and petrochemical processes. In other rubber will expand or media failure. o-ring (seal) does not swell or become brittle, remains the original quality. Easy to install o-rings, more adaptable than the metal seal Improper installation, will not cause wear and tear. It is not the same with PTFE seals, no "cold flow" or worn shafts. First, the chemical and oil refining processes: the sealing products for mechanical seals, pumps, reactor, mixer, compressor housings, valves, all kinds of instruments and other equipment. Typically used as a seat, stem packing, diaphragms and gaskets. Second, the instrument and process analysis on: separator, separator, cylindrical parts, clamps, gaskets and the like.